After completing the mandatory 400 hours of counselling Sandra became a fully accredited member of the Irish Association of Counselling and Psychotherapy (IACP) in 2013. Her main areas of counselling include anxiety, panic attacks, conflict resolution, depression, suicide ideation, self harm, bereavement and loss and client family support and has extensive experience of dealing with adolescents and teenagers as well as adults. 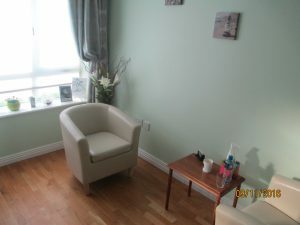 For the past 5 years Sandra has also been a therapist with Pieta House in both the Lucan and Ballyfermot centers as well as having a private counselling practise in Kildare where she sees both private and EAP clients.